You might know him as the other half of duo TK N CASH but CashOnly is expanding globally on a solo run. The young star has returned to unleash his debut project “ATM” in addition to the melodic and catchy records you are accustom to hearing from the artist. “ATM” includes nine powerful records from Cash with production from OG Parker, Trell Got Wings, Beezo, Yung Lan & Kilo Beats. “ATM” is a quick glimpse CashOnly’s life and sound which is only the beginning of everything that’s about to come. “ATM” serves as part one of a three part project that will be soon be flooding your speakers with collaborations from ChaseTheMoney, Jacquees, Lil Boosie and many more. 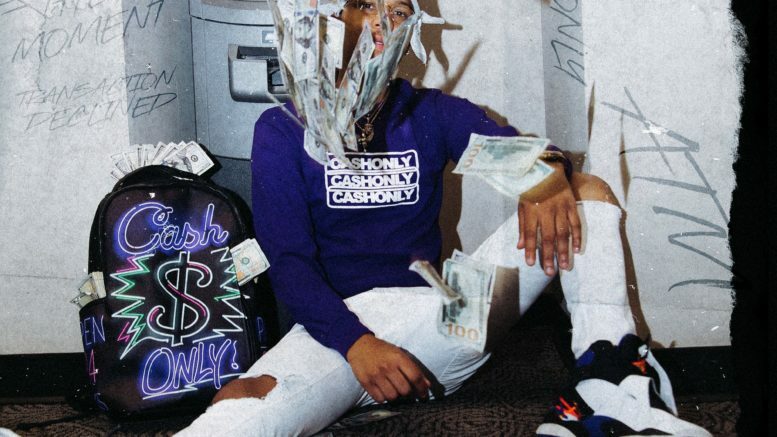 As his resume has proven, Cash is certainly an artist to look out for as the production knocks and the connections are there. Listen to “ATM” and let us know what you think! Be the first to comment on "EP: CashOnly – “ATM”"